In a meeting was held on Thursday, Additional Chief Secretary (Revenue and Public Works) Manisha Nanda said that the NDMA, government of India has sought detailed project report for landslide mitigation from the state. 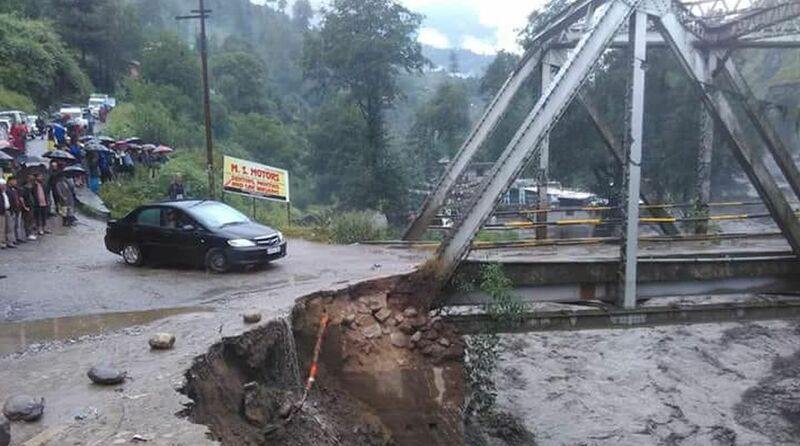 The Himachal Pradesh government proposes to constitute Core Group for landslide mitigation and soon a detailed project report in this regard will be sent to the National Disaster Management Authority (NDMA). As many as 21 vulnerable sites of landslide have been selected which may be examined that are falling in different districts, she added. Nanda said that landslide was the most common hazard in the state and almost every year the state gets affected by one or more major landslides causing loss of life and damage to houses, agricultural fields, roads and infrastructure. Most of the critical landslide spots were near the National Highways maintained by the government of India, she said, adding that like earthquake and floods, the risks of landslides could be mitigated through a combination of structural and non-structural measures. It was decided in the meeting to constitute a core group with Engineer-in-Chief, Public Works Department (PWD) as Member Secretary for preparation of the Detailed Project Report (DPR) for the state, added Nanda. The Core Group will have the Director, Geological Survey of India, Chandigarh as Member and Engineers from PWD, Geologists from Industries department and technical experts from Institute of Information and Technology (IIT), Mandi will also be the Members of this core group. The State PWD department would be the implementing agency for landslide mitigation with Geological Survey of India and State Geological Wing as supporting agencies, she said, adding that the IIT Mandi will be the technical support agency for the DPR preparation and landslide mitigation. It was also decided that two sites would be selected by the PWD for sample DPR preparation one from Naina Devi in Bilaspur district and another from the Sirmaur district. The PWD would also identify four to five vulnerable landslide spots in each zone for treatment at the earliest. Nanda said that the State Disaster Management Authority was planning to take up the landslide mitigation at a large scale for reducing the vulnerability and risk associated with the landslide hazard in the state.